Come and join us for some sporting fun on one of our holiday courses. Saturday morning and weekday evening coaching for any child from Reception to Year 3 in Aylesbury, Harpenden, Hemel Hempstead, Oxhey and Watford. 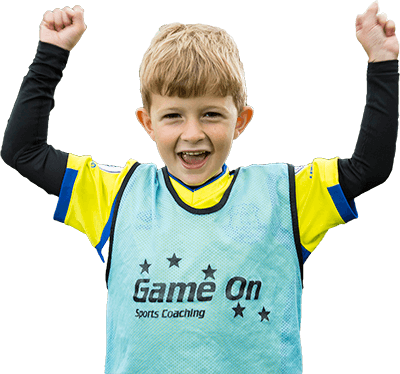 Game On is an independent sports coaching company that has been working with children and schools across Hertfordshire, Buckinghamshire and Bedfordshire for over 15 years. Curricular classes and extra-curricular sports coaching clubs for schools in Hertfordshire, Buckinghamshire and Bedfordshire. Running sports courses throughout the school holidays at various venues across Hertfordshire, Buckinghamshire and Bedfordshire. Saturday morning and weekday evening coaching for any child from Reception to Year 3 in Harpenden, Watford, Aylesbury and Hemel Hempstead.